Flooding can lead to a wide array of problems, and water damage and mold near Long Island are both common results. Houses tend to flood for a few particular reasons, so it helps to know what you should look out for in order to keep your home and family safe. Keep your plumbing in check, make sure your basement waterproofing is sufficient, and watch the weather forecast so you know when to look out for precipitation. Read on if you are interested in getting the facts about the most common causes of household flooding. Your plumbing system carries clean water into your home and wastewater out of your home, and it relies on a network of pipes in order to do so. Even a small leak, however, can result in standing water in the home. Moisture is one of very few elements necessary to foster mold growth, so it’s crucial that you check to make sure your plumbing system is in working order on a regular basis. Check the drains under your sink, and make sure all of your water-based appliances have properly functioning connections. The quicker you repair a plumbing issue, the less likely you will be to experience a mold or water damage problem. If you want to fully control the moisture levels in your home, you will need to have your house properly sealed and waterproofed. Without efficient waterproofing, your foundation will be vulnerable to groundwater from outside. Moisture that sinks into the ground after it rains or you water your lawn can eventually seep through the foundation of your home and into your basement. Make sure your home and basement waterproofing are sufficient so you can avoid a flood. Certain geographic locations tend to be more vulnerable to events related to the weather. If you live in an area where flooding is a known risk, keep an eye on the weather forecast so you can prepare as necessary. When a natural flood catches you by surprise, water may very well make its way inside. Always be vigilant and prepared for a flood. A mold removal inspection can offer you some peace of mind as well as ensure that your home is in top shape. However, it’s important to protect yourself when you look for mold remediation in the Hamptons . Watch this video clip for tips on protecting your home during a mold removal inspection. As important as mold inspection is, it’s equally important to choose a company that will keep your best interests in mind. Not everyone knows how to identify and diagnose a mold problem, and some companies will try to take advantage of your lack of knowledge. If you want to make sure you have a legitimate mold problem to deal with rather than spend money on needless restorations, it’s a good idea to get a second opinion. Find a company that offers free estimates and uses products that will not harm the air quality of your home or the health of your family. A mold problem is an inconvenience, but it can develop into a real concern for the health of your family. This is why you should waste no time in calling for mold remediation near the Hamptons. Exposure to black mold can result in a wealth of different health complications and affect different bodily systems. Common black mold symptoms impact your respiratory, neurological, and skin health. Keep reading if you are interested in examining the symptoms of black mold exposure. Mold is unique in that it spreads around using small spores that can circulate through your air ducts. This means that a mold problem can easily contaminate your air, and you might not notice until you start to experience the symptoms. Some of the most common symptoms of mold exposure deal with the respiratory system. Much like allergies, black mold can cause irritation in the eyes, nose, and throat, as well as fits of sneezing and coughing. These symptoms can be even more pronounced if you are prone to allergies or asthma, so it’s important to have a mold specialist perform an inspection as soon as you can. Unfortunately the respiratory system is not the only bodily system affected by black mold exposure. In addition to coughing, sneezing, and irritated eyes, exposure to black mold can come with a range of other serious symptoms. Black mold is toxic, which means exposure can fight against your neurons and cause noticeable changes in the brain. A mold problem can cause you to experience dizziness, anxiety and depression, and even hallucinations. If you have been experiencing a diminished attention span or problems with your memory, it might be a good idea to have your home inspected for black mold by a mold remediation crew. Inhaling mold spores is not the only way to expose yourself; you can also develop symptoms from direct contact. Direct physical contact with black mold may result in rashes, blisters, or inflammation. You might also experience jaundice, which causes your skin to take on a yellowish tint. Call for mold remediation as soon as you notice any of these symptoms. If you suspect that your home might have mold , it’s not something you should ignore. Mold in your house can have health consequences for the people who live there, and can even damage your home’s structure if it’s left alone. Because mold spreads quickly and easily, it is an issue that is best left to the professionals. Trying to remove mold yourself can be hazardous to your health as well as ineffective. Ask your friends and neighbors for recommendations for a company that does mold removal near Long Island, and inquire about their procedures. A good mold restoration company should be able to tell you the steps of the mold removal process, as well as the equipment they use to get the best results possible. Feel free to ask questions about what you can expect from the inspection process as well as the restoration itself. Make sure your mold removal company has a proven record of excellence, and inquire about green cleaning methods that are easier on the environment as well as you and your family. If you’re undergoing mold testing near the Hamptons , you may be wondering what the results mean. There are many different types of mold, and several are particularly common in residential areas. Read on to learn more about the most common types of mold that a mold removal service may find in your home. Have you ever seen bread peppered with green or black mold? 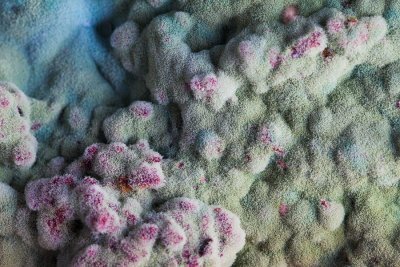 Then you’re already familiar with one of the most common types of mold, aspergillus. Aspergillus can be found growing on various foods—and inside your home air conditioning system. You may also see this mold on the back of your toilet, on painted areas of your home, and inside your fiberglass air ducts. Aspergillus is known to trigger allergy symptoms in some people, so call for mold remediation if you find it in your home. Cladosporium is also common in indoor environments, especially on wet building materials, in HVAC fans, and on wet insulation. If you’ve recently suffered water damage from a flooded basement or natural disaster, you may want to have a mold inspection to check for Cladosporium growth in your house. Cladosporium negatively affects your air quality. As a result, people with sensitive respiratory systems may suffer allergic reactions or even chronic asthma from prolonged exposure to Cladosporium spore concentrations. Finally, keep in mind that concentrations of this mold are highest and spread most quickly in the summer season. Stachybotrys atra is also known as black mold, both for its black color and its toxic qualities. It tends to grow on material with high cellulose and low nitrogen contents. You may find it on surfaces such as fiberboard, gypsum board, paper, dusty areas, or surfaces covered with lent. It is most likely to grow in areas with water damage or excessive humidity, as it requires moisture to grow. This type of mold contains mycotoxins that are hazardous to humans. Call a mold remediation service to eliminate this slimy-looking mold if you suspect it is growing in your home. What Are the First Steps You Should Take After a Fire? Island Catastrophe Environmental Restoration, Inc.